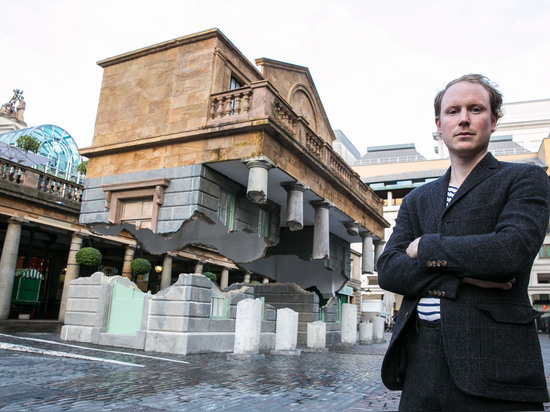 In the wake of his melting facade and upside down building, British artist Alex Chinneck continues to work large-scale magic tricks with his latest installation. 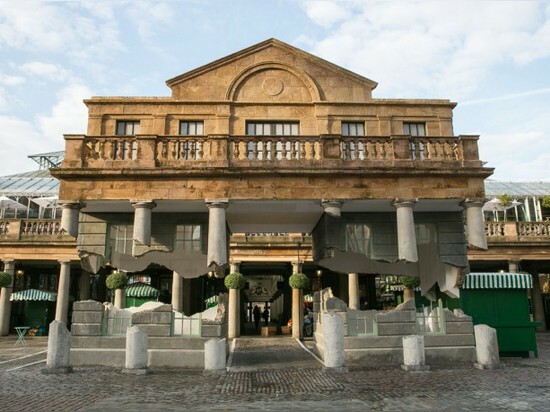 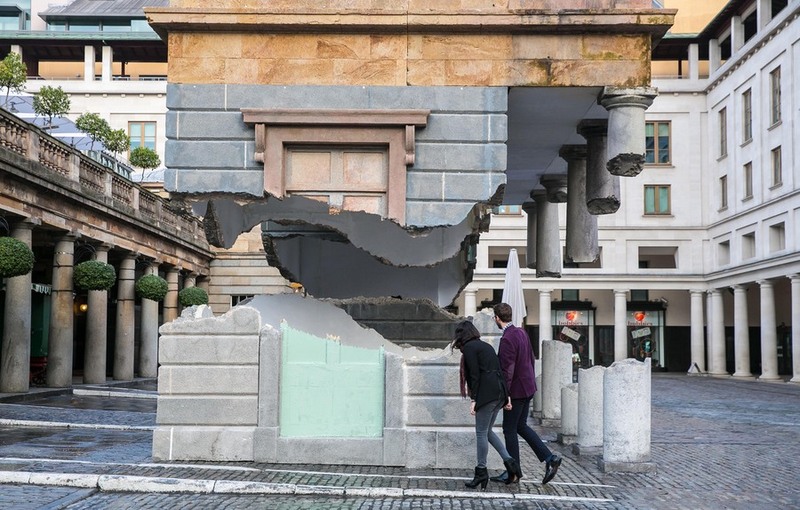 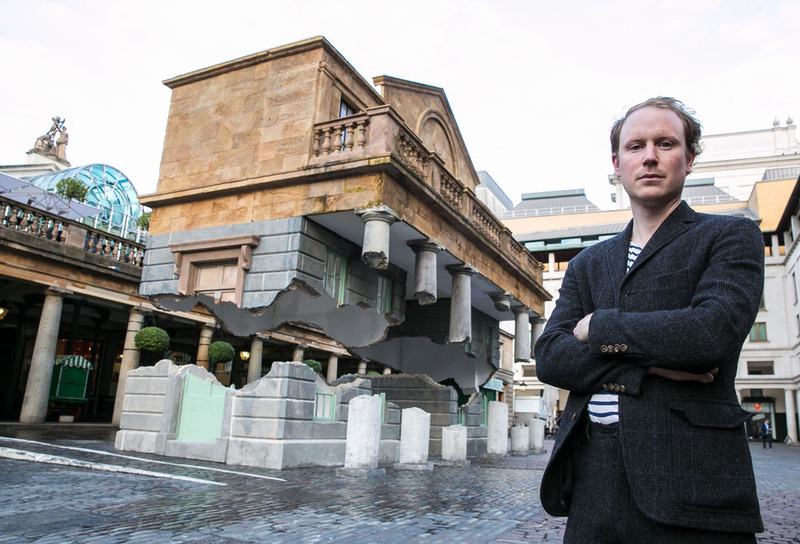 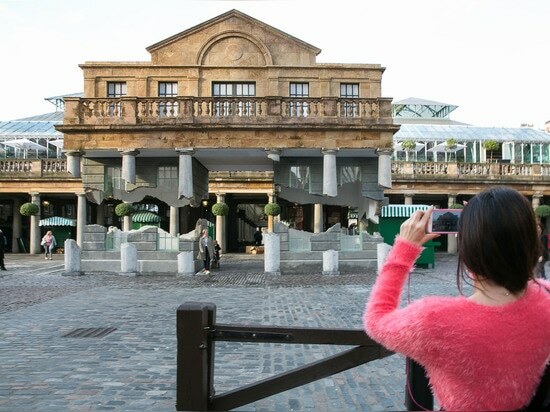 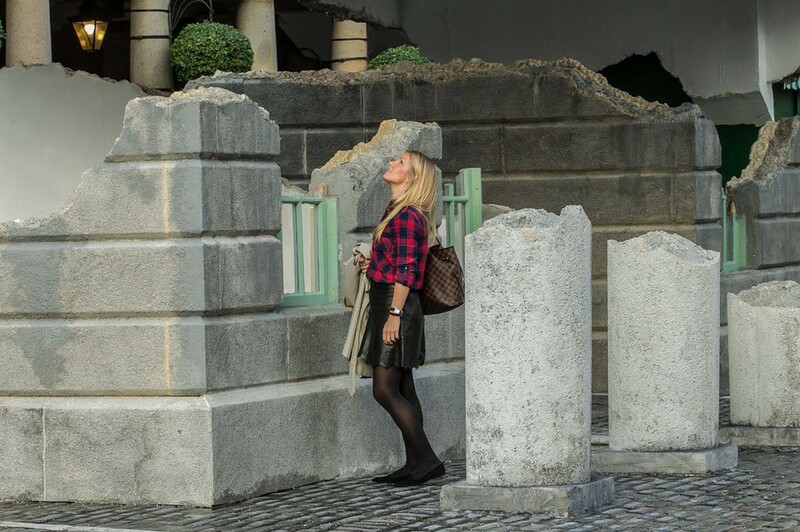 Titled ‘Take My Lightening but Don’t Steal My Thunder’, the piece perfectly replicates London’s iconic Covent Garden Market building, making it seem as if the upper portion of the 184-year-old structure has detached and is levitating. 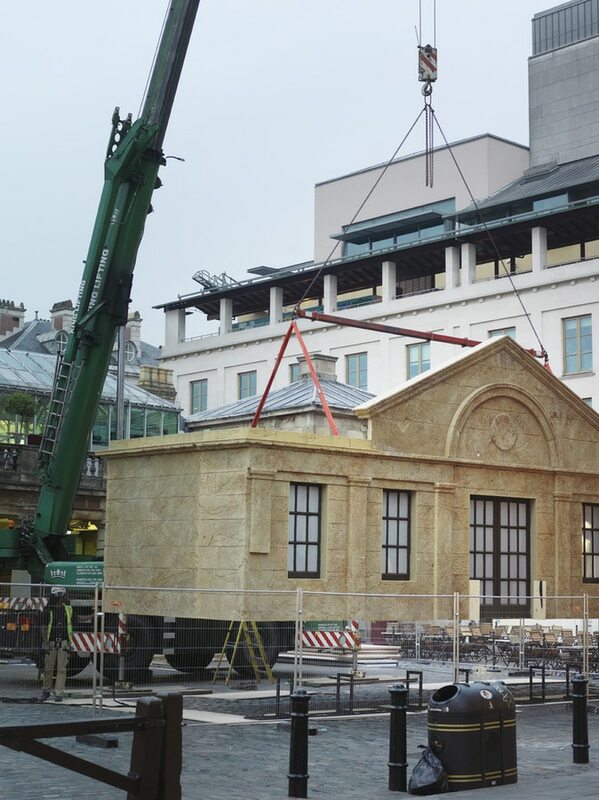 The installation is made from a steel frame and filcor – an expanded polystyrene that is growing in popularity for its various application possibilities. 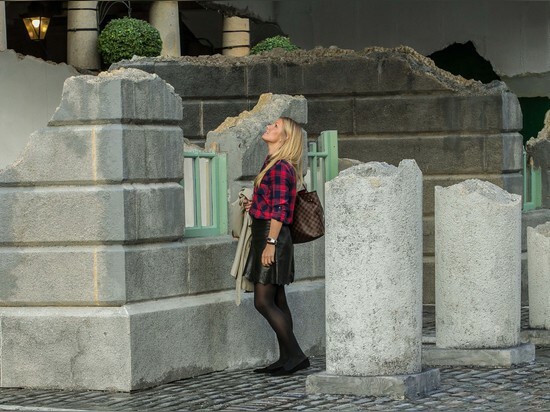 It took over 500 hours, 14 tons of steel and more than 100 contributors to complete the project. 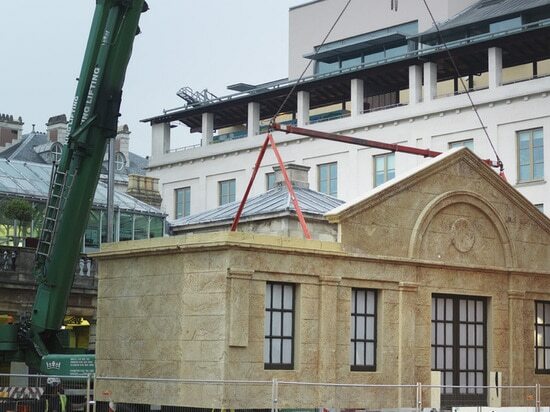 Much of the carving was completed digitally, and it was then painted to resemble the building. 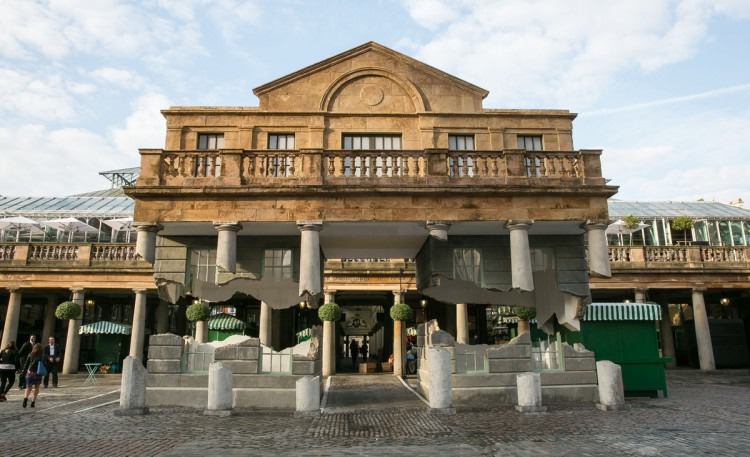 A crane was used to position the top half, and a four-ton counterweight contained in an innocuous market cart flanking the building’s side enables it to float. 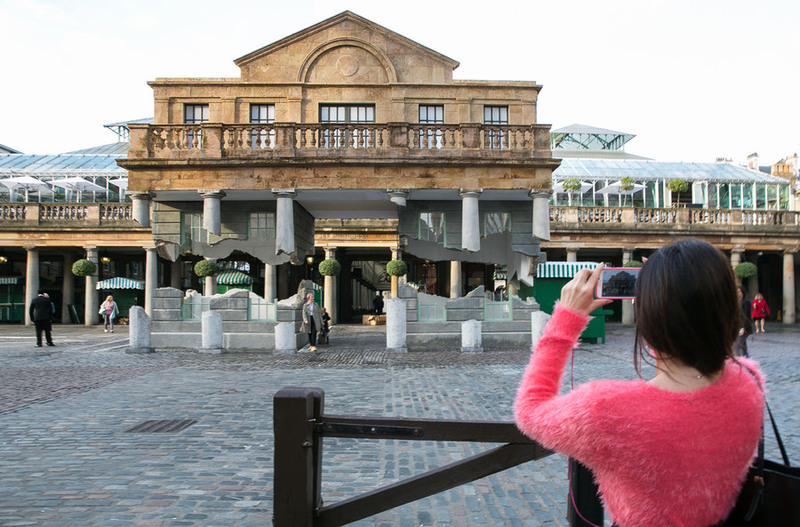 Chinneck joins the ranks of other artists that have been commissioned to create works in Covent Garden’s Piazza such as Jeff Koons and Paul Cocksedge. 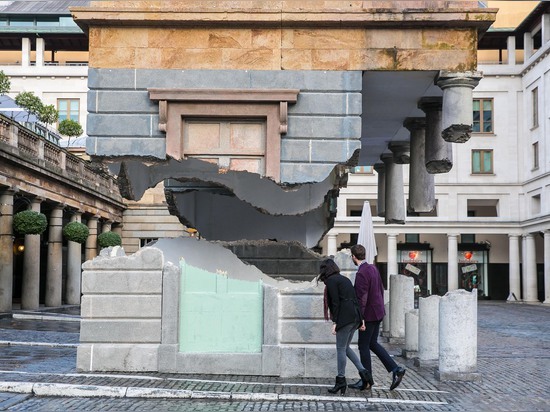 The installation will be on display until October 24th.